What's more interesting is that the panel could be of the LCD variety, instead of OLED, as a cost-saving measure. Producing an LCD with a hole is no doubt harder than producing an OLED with one. 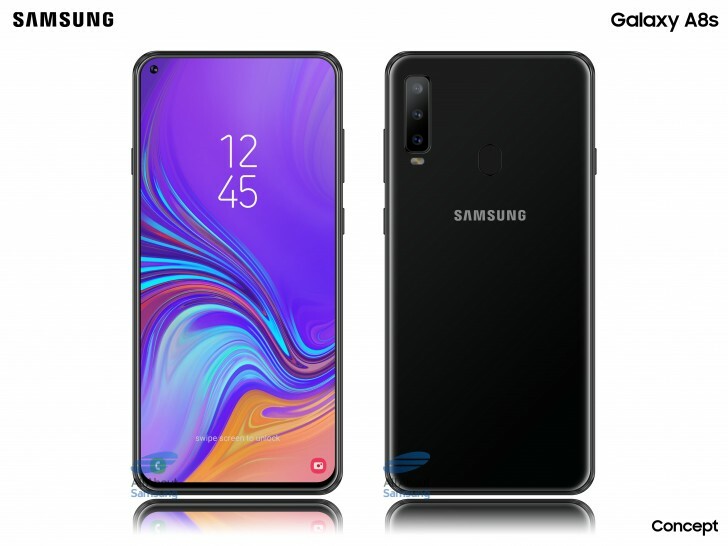 The camera cutout in the Galaxy A8s' display will reportedly be 6.7mm and it's speculated that the Galaxy S10 will have a smaller 2-3mm cutout. The Samsung Galaxy A8s will house a Snapdragon 710 chipset, 6GB of RAM and a 3,000mAh battery. It's bound for announcement in January, but some rumors suggest it will be out before the year's end.